Getting a copier contract is a big commitment. When you sign a lease you are signing yourself to a 5-year agreement on the machine that you chose. You need a machine that will last you those years without you having to worry about it. That’s why at Copier Los Angeles we are proud to sell Xerox brand copiers. Just hearing the name Xerox makes you think of printers humming and copiers spitting out paper. That’s because Xerox has been around for decades. They are responsible for innumerable improvements to the office environment we are used to today. Xerox brand machines have a reputation for being well constructed, and long lasting. Their dedication to their machines is what makes us love working with them. They care about getting you a machine that works great and helps your business grow. That’s why they are the industry leaders when it comes to print and copy solutions. We are also proud to sell Xerox because they offer the Xerox 100% Total Satisfaction Guarantee. They will put their money where their mouth is, and do whatever they can to make sure you are happy with your machine. 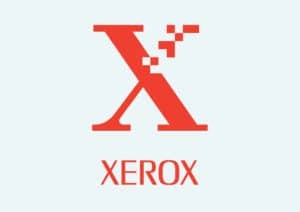 If you are experiencing problems then Xerox will replace or repair it for free. If you want a machine that won’t let you down, while keeping your budget in check, then look no further than a Xerox brand copier. At Copier Los Angeles we carry a wide selection of Xerox products that we know will help you get your business to where it needs to be. Give us a call today to get a great price on a Xerox brand office machine.